This is a nice seasonal recipe but really it can be enjoyed at any time of the year. 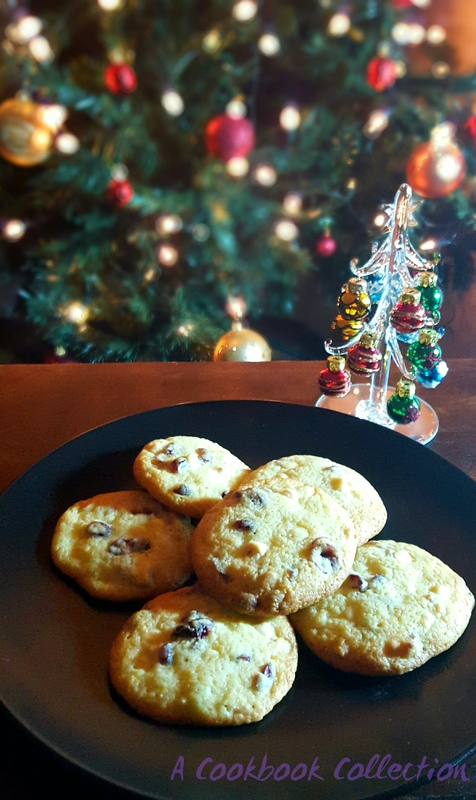 I have made the Cranberry and Oat Cookies from Nigella Christmas many times but I preferred the texture of these Chocolate Chip Cookies so I decided to change it up a bit and add orange to them. The orange really lifts them to another level. I like to roll the dough into a long sausage shape and cut off 1cm slices of cookies to bake regular sized cookies. I made some of them a bit larger than usual and they just take a little longer to bake. The middle stay really soft and the outside crisps up nicely. You can make a large batch of this and freeze the raw dough. To make life easy, cut the slices before you freeze the dough, and freeze them flat on a baking sheet. Then wrap them in baking parchment and put them freezer bag. 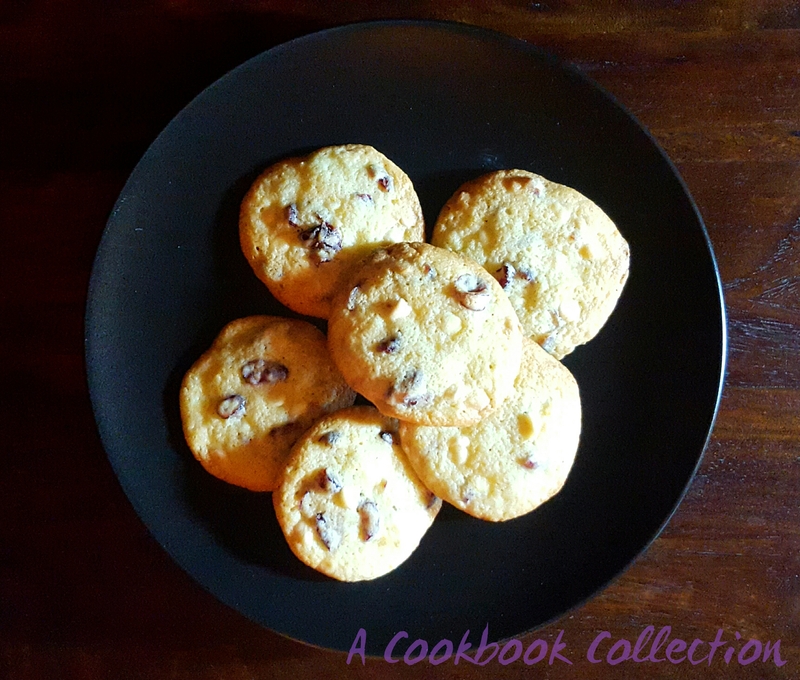 You can then quickly bake as many or as little cookies as you want. These could be a good edible gift for Christmas if you are making some! You can make these by hand or use a stand mixer. Cream the butter and sugar together until fluffy. Beat in the egg and the vanilla. Add the orange zest and juice. Sieve the flour, cornflour, baking powder and salt into another bowl and mix well together. Mix the dry ingredients into the butter until completely combined and then do the same with the chocolate chips and dried cranberries. Turn the dough out onto some parchment or greaseproof paper and roll into a long sausage shape. Wrap the parchment paper around it and put the dough into the fridge for an hour to chill. If you’re stuck for time, put it in the freezer for about 15 minutes. Preheat the oven to 180c/160c fan/gas mark 4. Slice the dough into 1cm slices and place onto a baking tray lined with parchment paper. Allow plenty of space between them as they will spread while baking. Bake for 10-15 mins until they turn a golden brown at the edges. The length of time they take to cook will depend on how large you make them. Allow to cool for 5 minutes on tray and then put them on a wire rack to finish cooling. I’m off out today to buy some cranberries to give these a go! Sound amazing!! I hope you like them! Let me know how you get on. Look yummy. Are you making a batch for Christmas?